In the following post Denson explores a 1935 controversy that saw two communities of elite white southerners compete for ownership of a piece of Cherokee history. 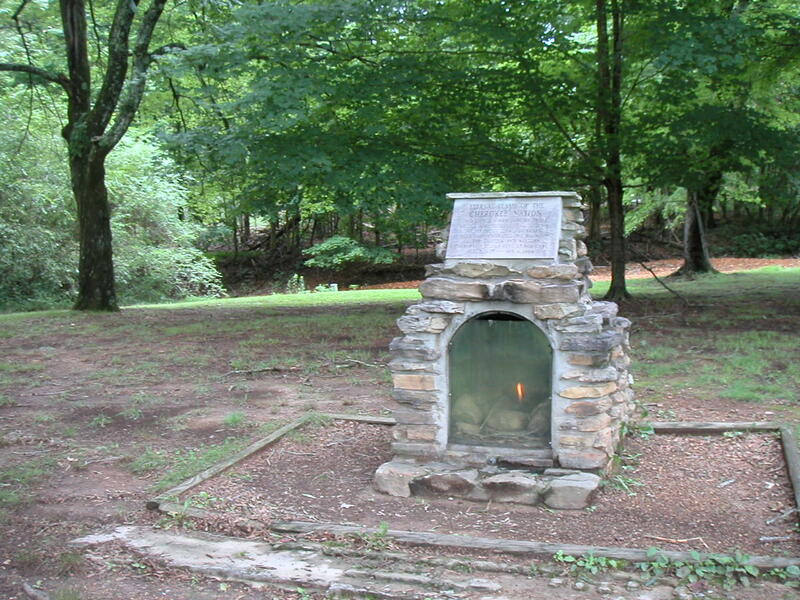 In the spring of 1935, an odd dispute erupted between rival groups of heritage workers in Tennessee and Georgia over the right to commemorate the Cherokee “Trail of Tears.” That year, members of the Daughters of the American Revolution (DAR) in Georgia decided to erect a small monument commemorating Red Clay, a site along the Tennessee border where the government of the Cherokee Nation met in the years just prior to removal. 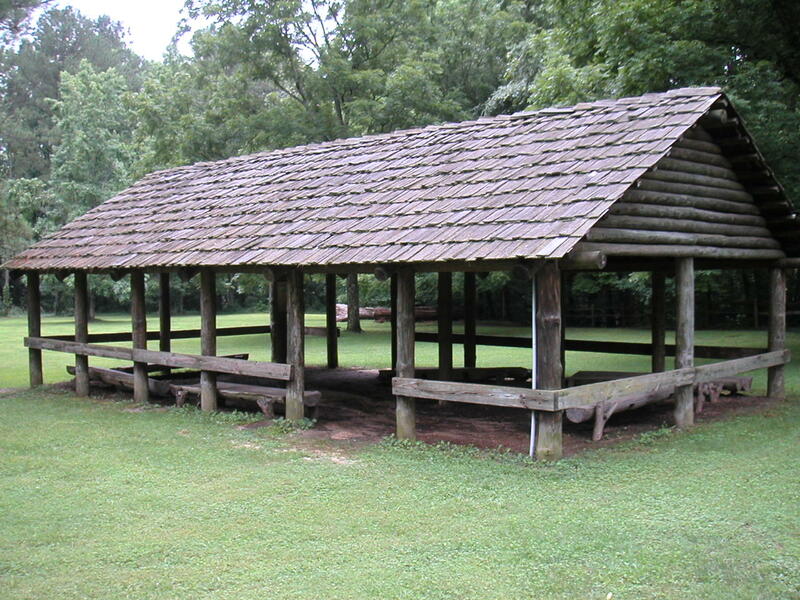 In the early 1830s, Cherokee leaders moved their councils to Red Clay from New Echota (about thirty-five miles south), after the state of Georgia outlawed the tribal government. Red Clay played an important role in the Trail of Tears story as a place where Cherokee leaders debated the removal policy. As the final seat of the Cherokee Nation government in the East, it also represented a starting point for the Cherokees’ forced migration to Indian Territory. 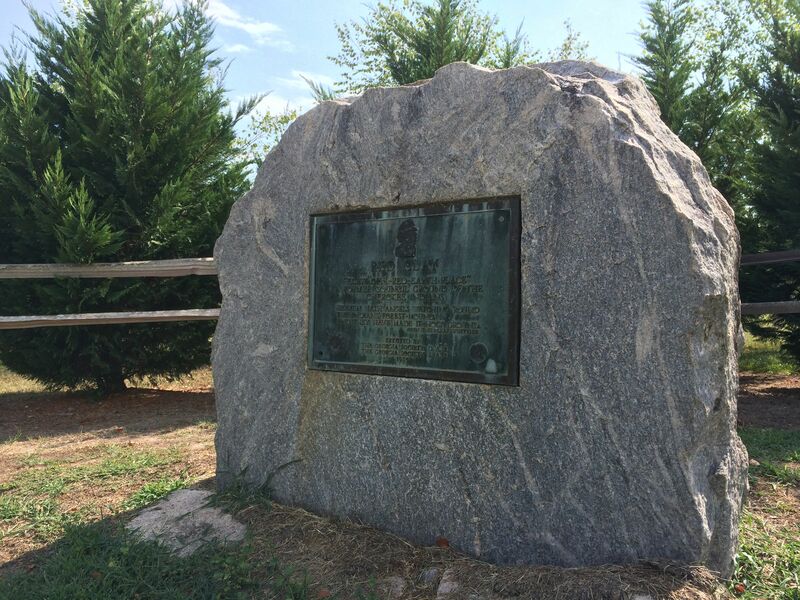 When the Georgia DAR announced plans to place their marker, however, residents of southeastern Tennessee cried foul. The site of the council ground was not in Georgia, they complained, but in their own state, just to the north of the Tennessee line. Red Clay, they explained, could not possibly lie in Georgia, since Cherokees chose the site based on its location outside of that state’s borders. Tribal leaders moved their councils from New Echota in order to escape Georgia’s jurisdiction, finding an “asylum from their oppressors” in Tennessee, as one local historian wrote. Leola Beeson, state historian for the Georgia DAR, admitted that there were “two schools of thought” on the location, noting that some Daughters favored placing the monument directly on the state line. In offering this compromise, however, “Georgia conceded nothing whatsoever of her own entitlement to the site.” The “DAR Squabble,” as a Chattanooga newspaper called it, continued into the summer, growing quite angry at times. Tennesseans charged their neighbors with stealing their history, and a Tennessee judge went so far as to petition the national leadership of the DAR, asking the society to intervene and warning that Georgia was about to commit “injustices to the Indians, to Tennessee, and to Georgia itself.” Unpersuaded, the Daughters in Georgia continued the project, unveiling the marker in early November. Tennesseans attended the ceremony, but, on their way home, they made a point of stopping at what they considered the real site of Red Clay, on their own side of the border. As it happened, the Tennesseans had the better argument. The significance of the dispute, however, lies less in the geography than in the deep sense of ownership expressed by both sides. As Beeson noted, the argument was about “entitlement.” It was about which group of elite southern whites had a right to possess this piece of Cherokee history for their own community’s past. Later in the twentieth century, Tennessee developed a state historic site at Red Clay, with reconstructed buildings and a small visitor center. Just to the south, however, on the state line, you can still find the older monument, a reminder that commemoration is almost always an act of possession. Andrew Denson teaches history at Western Carolina University. His book Monuments to Absence: Cherokee Removal and the Contest over Southern Memory is now available.